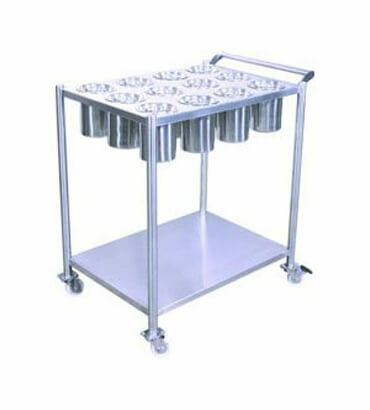 Masala Trolley Manufacturer in India, Masala Trolley Supplier in India Masala Trolley in India. We are highly appreciated by the clients for manufacturing and supplying Masala Trolley in India. Manufactured using high-grade stainless steel, these trolleys are known for their strong construction. These trolley have multiple compartments that placed on the other for providing proper storage space for different masala containers. Owing to their castor wheels, these trolleys are known for their easier and effortless movement. can be used in any part of the kitchen. These are also used for keeping various spices in cooking area.